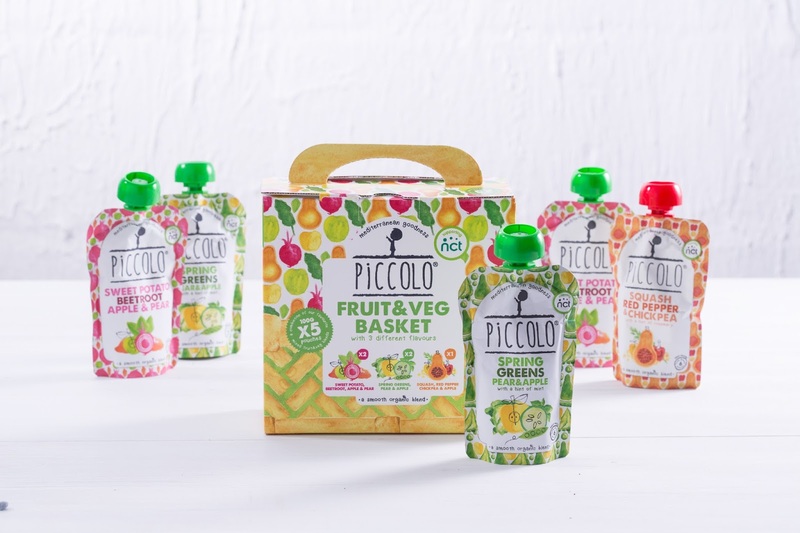 Launched in 2016, Piccolo is the UK’s fastest growing baby food company that believes that introducing a pinch of Mediterranean goodness helps develop your little Piccolo’s taste buds from when it matters most. 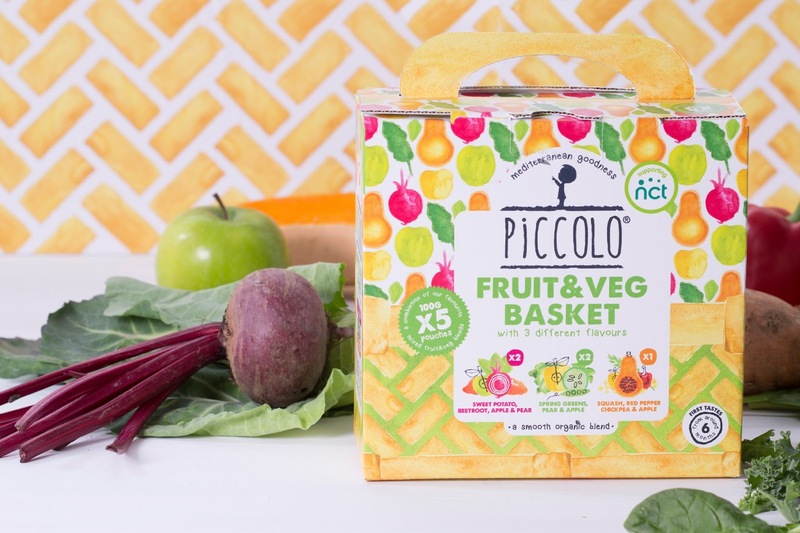 Piccolo is now making healthy choices easier when weaning with new multipack fruit and fruit & veg baskets. 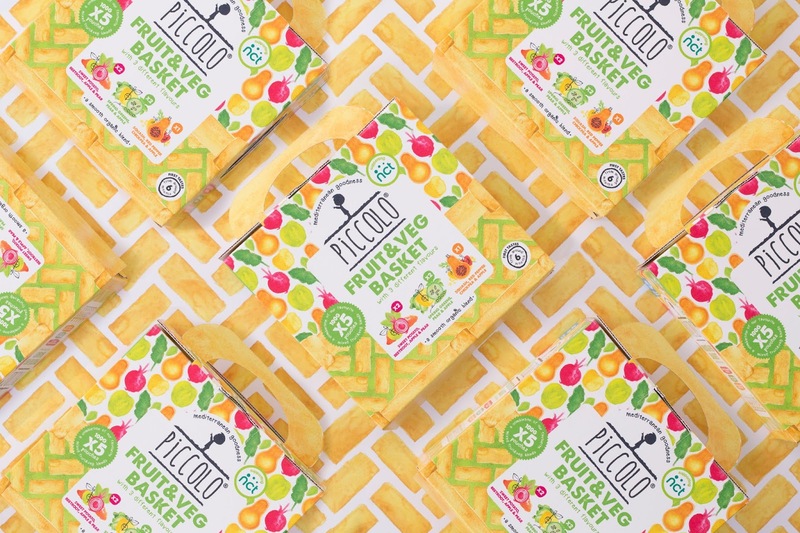 Co-founder, and in-house Creative Director, Kane O’Flaherty says “We always adopt a challenger way of thinking in all that we do. 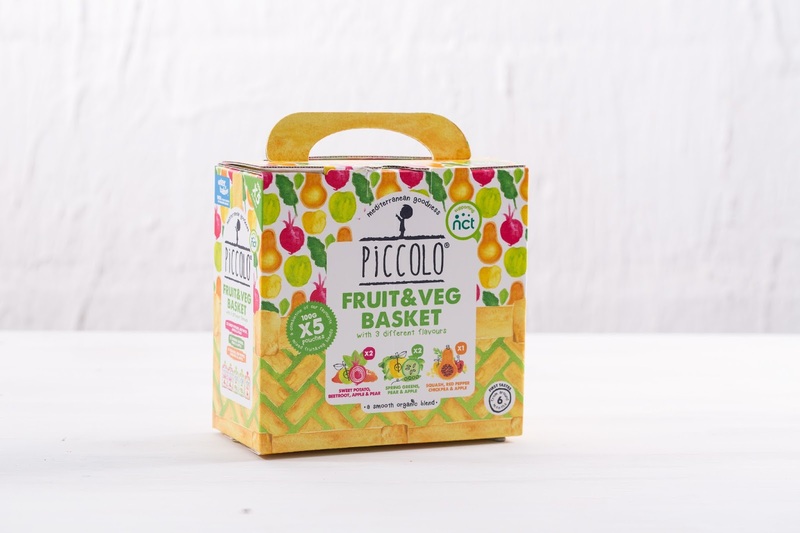 Piccolo needed a single minded visual that cut through the clutter of the overcrowded baby food market enabling layers of depth”. 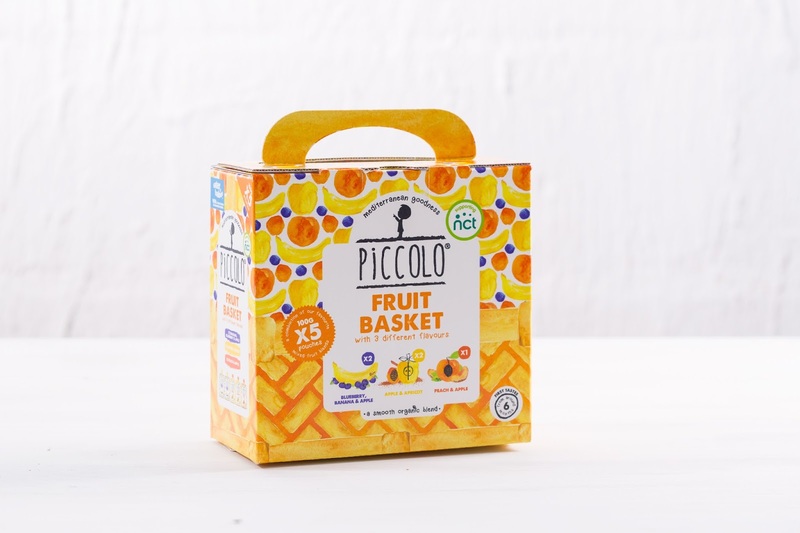 Taking advantage of the overused solid colours and dated food photography within the market Piccolo came to own pattern on shelf. 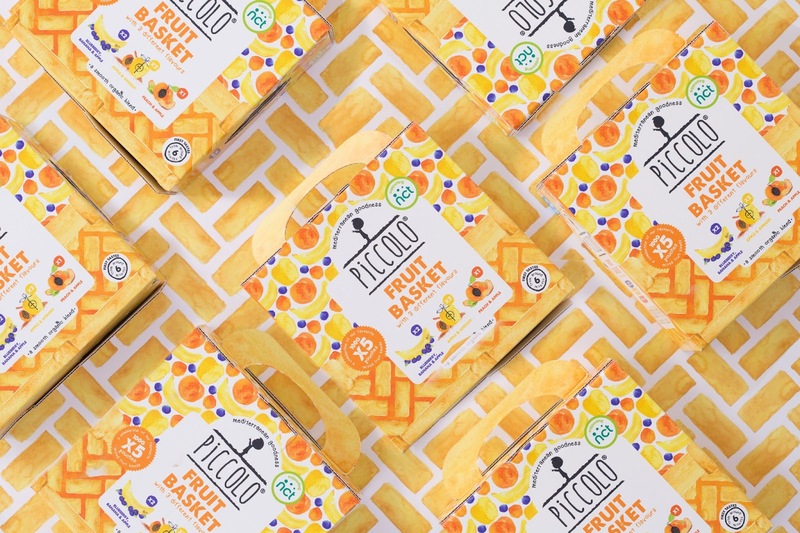 A pattern format that is diverse enough to highlight the ingredients, heighten the pouch flavour yet still retain consistency within the range on shelf. 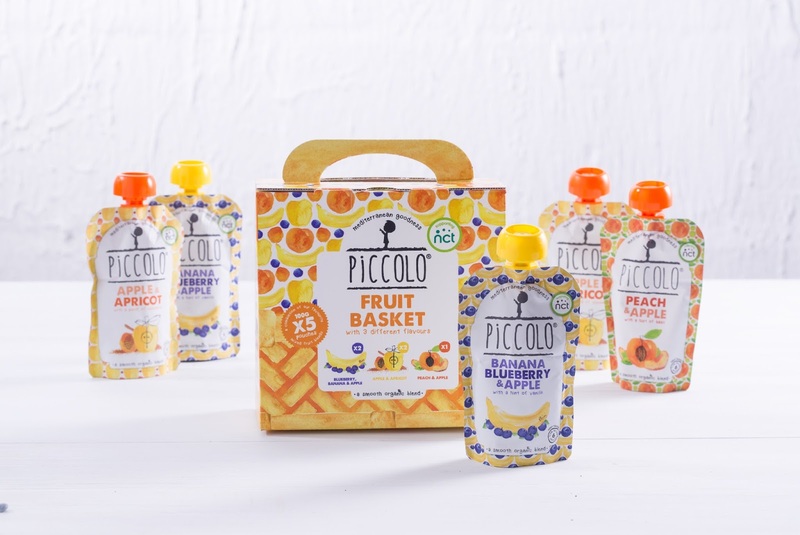 Simplistic watercolour shapes using a colour palette that is warm, fresh, inviting and reminiscent of the Med combined with Illustration created a point of parity stemming away from competitor brands. 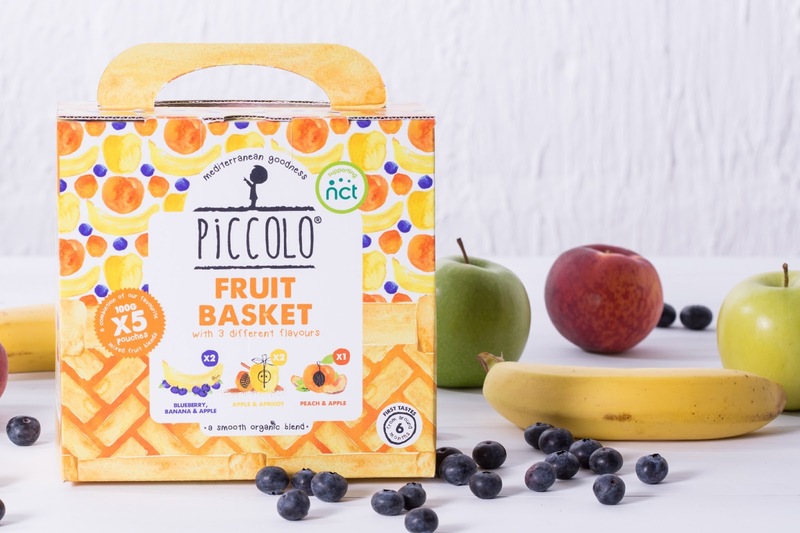 The combination of watercolour with doodles cleverly balances the premium nature of the product with the playful factor of the category. 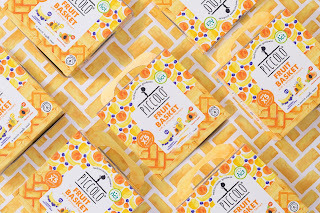 “Hand-crafted elements inject a level of authenticity that allows the brand to feel more individual”.